both my husband and i like our water room temperature. anything else that is taken cold usually lives in the fridge. so really, besides the occasional boo boo, (which usually a bag of frozen peas will suffice) we never need it for anything. so yesterday, when faced with the dilemma of a warm bottle of limeade, a hot beach, and thirsty friends... a solution presented itself. searching through the freezer for "that bag i thought i saw with a few ice cubes left in it" i came across a bag of frozen mango chunks. one of those serendipitous moments. the mango chunks couldn't have been a better accidental ice cube. so here it is. 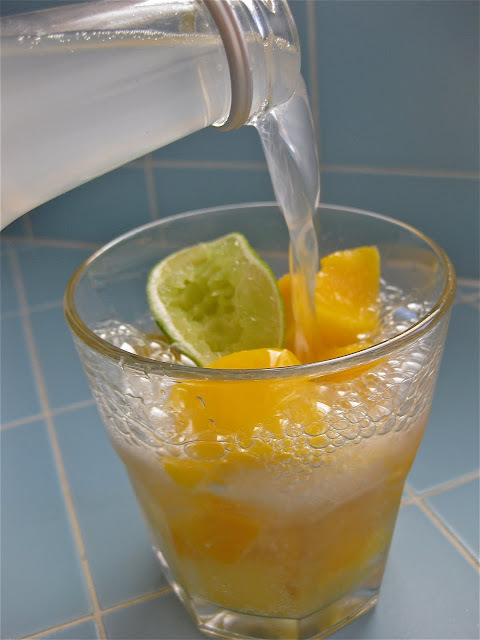 limeade with frozen mango. a lovely little tart bubbly drink with a sweet treat at the end. enjoy. 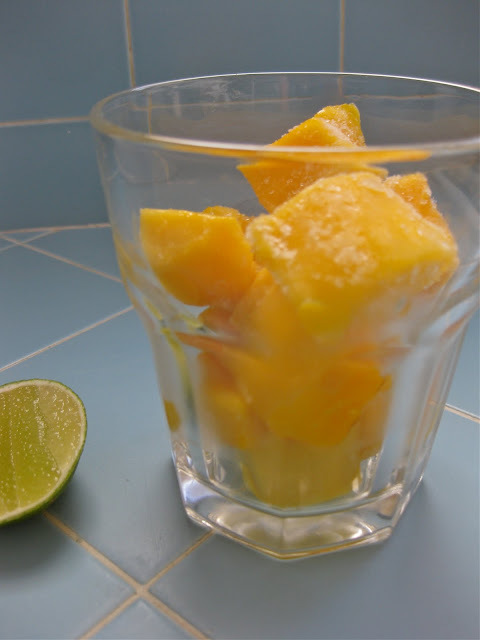 frozen mango in glass, squeeze lime.